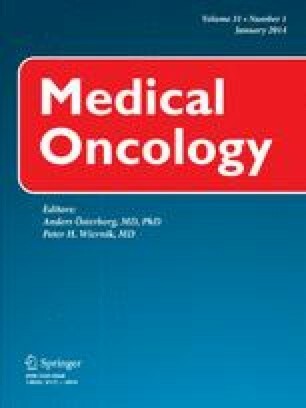 The purpose of this study was to assess the prognostic value of 18F-fluoro-2-deoxy-glucose positron emission tomography (FDG-PET) in therapy for non-small cell lung cancer (NSCLC) and to further analyze the possible risk factors contributing to overall survival (OS) and progression-free survival (PFS). We retrospectively analyzed fifty patients between June 2007 and June 2010 with NSCLC who underwent positron emission tomography/computed tomography. We examined the correlation of the maximum standardized uptake value (SUVmax) in FDG-PET of the primary tumor with other possible factors. The FDG uptake in the primary tumor was also compared for the different Union for International Cancer Control (UICC) staging groups and further correlation was analyzed. We divided the patients into two groups by the receiver operating characteristic curve of SUVmax: SUVmax < 5.45 (low-SUV) and ≥ 5.45 (high-SUV). The prognostic value of each parameter for OS and PFS was determined by using univariate and multivariate analysis. There were significant correlations between SUVmax and Tumor length, N stage, UICC stage, histologic differentiation (r = 0.298, 0.855, 0.345, 0.435). The comparison between the low- and high-SUV groups was evaluated. Statistically significant differences were found in the SUVmax of the primary tumors among different UICC staging groups, and the correlation between stages I–II and stages III–IV for OS and PFS was also statistically significant. Univariate analysis showed that performance status (PS-ZPS score), histologic differentiation, UICC stages, and SUVmax of the primary tumor were significantly associated with OS and PFS. Multivariate logistic analysis showed that histologic differentiation and SUVmax of primary tumor might be considered as significant predictive factors for OS and PFS in patients with NSCLC. Our results showed that there was a significant relationship between the SUVmax of the primary tumor and OS and PFS. FDG uptake by the primary tumor may be an independent outcome predictor for patients with NSCLC. An-Na Tong and Shao-Rong Han have contributed equally to this work. This work was supported by China Postdoctoral Science Foundation (20080431411).